The latest report is available from a number of sources. If you can’t find it do let us know. Here is an excerpt with particular relevance to what we are doing with GMS Showroom. Do digest! Hand-in-hand with the online movement, many fashion companies are experiencing a steep decline in brick-and-mortar traffic. They are simultaneously looking for ways to reduce store operating costs, re-evaluate store networks and innovate the in-store experience to attract customers. The digital shift has hit some harder than others. For example, US department store sales have fallen drastically in recent years and mall closures are expected to increase. Sluggish sales in the department store channel, combined with a desire to improve margins and control brand presentation, markdowns and customer data, are causing brands to move to direct-to-consumer-models. While many fashion players are working hard to deliver a seamless, integrated shopping journey across touchpoints, the hurdles remain high with complex technology implications, as well as operational, logistical, organisational and governance headaches. Furthermore, omnichannel efforts have often proved difficult to deliver profitably. Meanwhile, the fashion industry is being disrupted by innovative business models. Examples range from data-driven subscription-based services like Stitch Fix, to sharing economy startups such as VillageLuxe and peer-to-peer selling at Grailed. The proliferation of data and exponential increases in technology performance have opened the door to the use of big data. The use of rich data and granular customer insights to inform decisions offers business opportunities across the fashion value chain, in areas ranging from dynamic pricing to optimised product replenishment. While the benefits of leveraging data can be significant, new challenges also arise, such as protecting customer data and privacy. The fast pace of the industry is shaking up the fashion system. Sales of the traditional fast fashion-sector have grown rapidly, by more than 20 percent over the last three years, and new online fast fashion players are gaining ground. 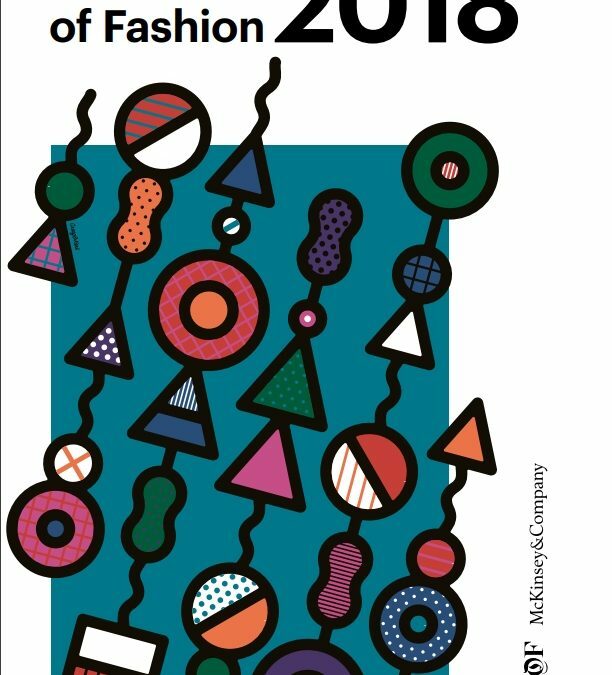 3 To keep up, leading fashion players are accelerating the time from design to shelf, including the recent announcement from Gucci that it will focus on supply chain optimisation and responsiveness (Exhibit 5). This “need for speed” is driven partly by social media bringing fashion trends to more consumers at a faster pace than in the past. Industry leaders are also pushing up standards as analytics and customer insights enable them to meet customer needs better and improve responsiveness. But speed and flexibility bring new challenges. Shortening lead times requires major changes to the traditional business model and supply chain setup, and a shift in focus to a customer-centric model – with the customer as the principal driver of design, production and merchandising. How fashion companies play today varies widely. Companies still playing by the old rules, with prolonged end-to-end product development processes, face increased fashion risk and excess inventory if they are not able to match customer demand. But others are building agile supply chains supported by higher-quality consumer insights. Fashion players that lead on speed are pushing the limits of their creative process and are performing supply chain acrobatics, with the frontier being close to a real-time supply chain fed by “test and learn” and data analytics.